July, 2015; as you know.. was the all systems go for the CERNs Large Hadron Collider (LHC). On a Saturday evening, proton collisions resumed at the LHC and the experiments began collecting data once again. With the observation of the Higgs already in our back pocket — It was time to turn up the dial and push the LHC into double digit (TeV) energy levels. From a personal standpoint, I didn’t blink an eye hearing that large amounts of Data was being collected at every turn. BUT, I was quite surprised to learn at the ‘Amount’ being collected and processed each day — About One Petabyte. Approximately 600 million times per second, particles collide within the (LHC). The digitized summary is recorded as a “collision event”. Physicists must then sift through the 30 petabytes or so of data produced annually to determine if the collisions have thrown up any interesting physics. Needless to say — The Hunt is On! The Data Center processes about one Petabyte of data every day — the equivalent of around 210,000 DVDs. The center hosts 11,000 servers with 100,000 processor cores. Some 6000 changes in the database are performed every second. With experiments at CERN generating such colossal amounts of data. The Data Center stores it, and then sends it around the world for analysis. CERN simply does not have the computing or financial resources to crunch all of the data on site, so in 2002 it turned to grid computing to share the burden with computer centres around the world. 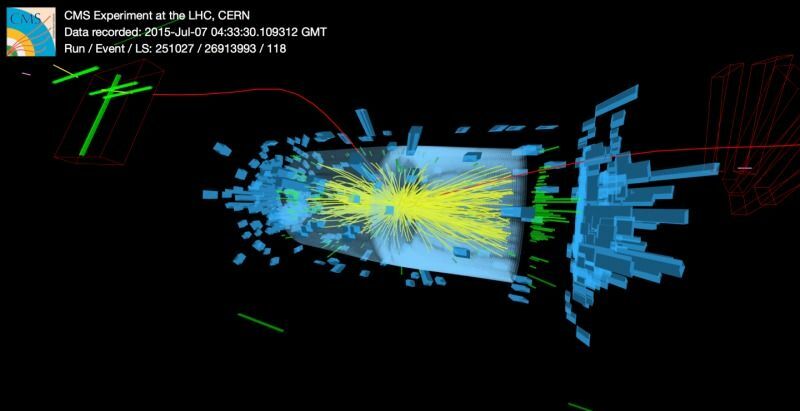 The Worldwide LHC Computing Grid (WLCG) – a distributed computing infrastructure arranged in tiers – gives a community of over 8000 physicists near real-time access to LHC data. The Grid runs more than two million jobs per day. 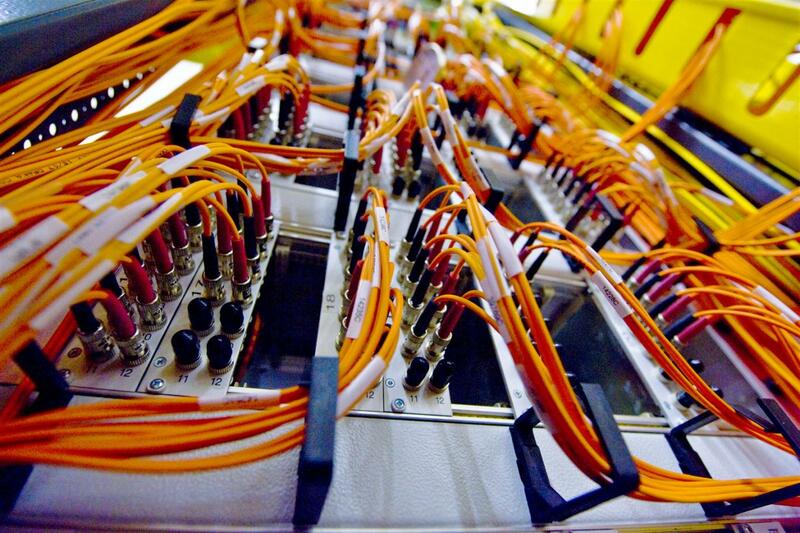 At peak rates, 10 gigabytes of data may be transferred from its servers every second. 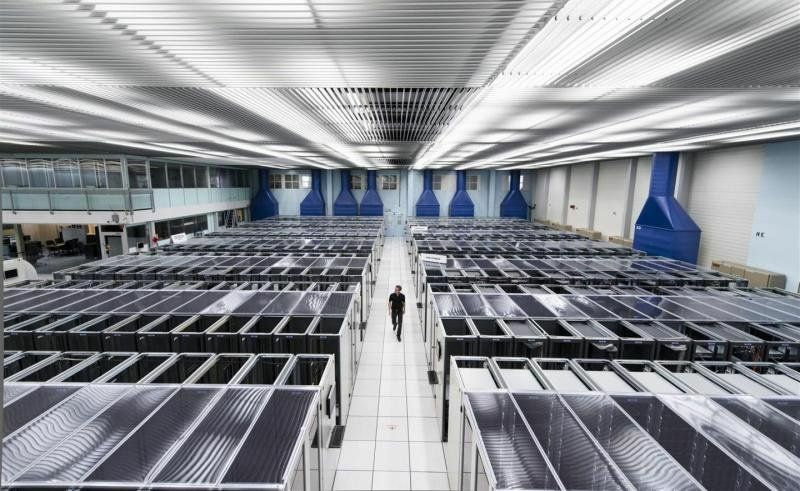 By early 2013 CERN had increased the power capacity of the centre from 2.9 MW to 3.5 MW, allowing the installation of more computers. In parallel, improvements in energy-efficiency implemented in 2011 have led to an estimated energy saving of 4.5 GWh per year. PROCESSING THE DATA (processing info via CERN)> Subsequently hundreds of thousands of computers from around the world come into action: harnessed in a distributed computing service, they form the Worldwide LHC Computing Grid (WLCG), which provides the resources to store, distribute, and process the LHC data. WLCG combines the power of more than 170 collaborating centres in 36 countries around the world, which are linked to CERN. Every day WLCG processes more than 1.5 million ‘jobs’, corresponding to a single computer running for more than 600 years. Possible layout of the quarks in a pentaquark particle. The five quarks might be tightly bound (left). The five quarks might be tightly bound. They might also be assembled into a meson (one quark and one anti quark) and a baryon (three quarks), weakly bound together. Our understanding of the structure of matter was revolutionized in 1964 when American physicist Murray Gell-Mann proposed that a category of particles known as baryons, which includes protons and neutrons, are comprised of three fractionally charged objects called quarks, and that another category, mesons, are formed of quark-antiquark pairs. This quark model also allows the existence of other quark composite states, such as pentaquarks composed of four quarks and an antiquark. 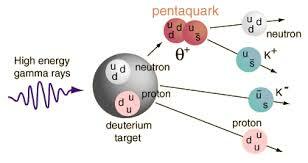 Until now, however, no conclusive evidence for pentaquarks had been seen. Earlier experiments that have searched for pentaquarks have proved inconclusive. The next step in the analysis will be to study how the quarks are bound together within the pentaquarks. “The quarks could be tightly bound,” said LHCb physicist Liming Zhang of Tsinghua University, “or they could be loosely bound in a sort of meson-baryon molecule, in which the meson and baryon feel a residual strong force similar to the one binding protons and neutrons to form nuclei.” More studies will be needed to distinguish between these possibilities, and to see what else pentaquarks can teach us! 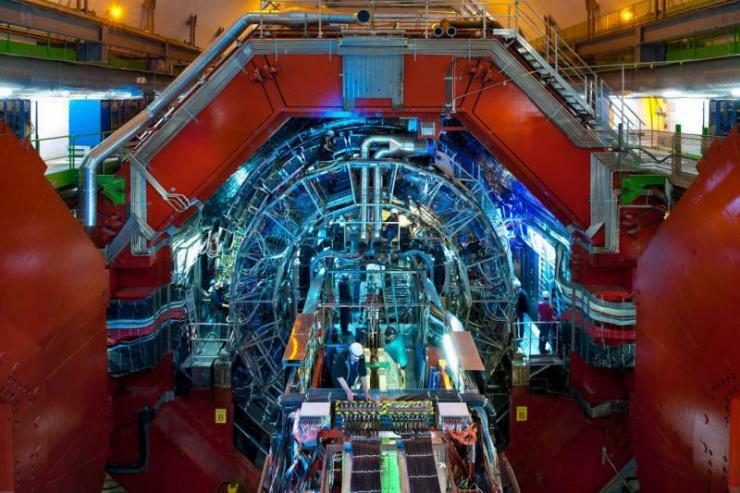 Days after scientists at CERN’s Baryon-Antibaryon Symmetry Experiment (BASE) measured the mass-to-charge ratio of a proton and its antimatter particle, the antiproton, the ALICE experiment at the European organization reported similar measurements for light nuclei and antinuclei. The measurements, made with unprecedented precision, add to growing scientific data confirming that matter and antimatter are true mirror images. Antimatter shares the same mass as its matter counterpart, but has opposite electric charge. The electron, for instance, has a positively charged antimatter equivalent called positron. Scientists believe that the Big Bang created equal quantities of matter and antimatter 13.8 billion years ago. However, for reasons yet unknown, matter prevailed, creating everything we see around us today — from the smallest microbe on Earth to the largest galaxy in the universe. Last week, in a paper published in the journal Nature, researchers reported a significant step toward solving this long-standing mystery of the universe. According to the study, 13,000 measurements over a 35-day period show — with unparalleled precision – that protons and antiprotons have identical mass-to-charge ratios. The experiment tested a central tenet of the Standard Model of particle physics, known as the Charge, Parity, and Time Reversal (CPT) symmetry. If CPT symmetry is true, a system remains unchanged if three fundamental properties — charge, parity, which refers to a 180-degree flip in spatial configuration, and time — are reversed. The latest study takes the research over this symmetry further. 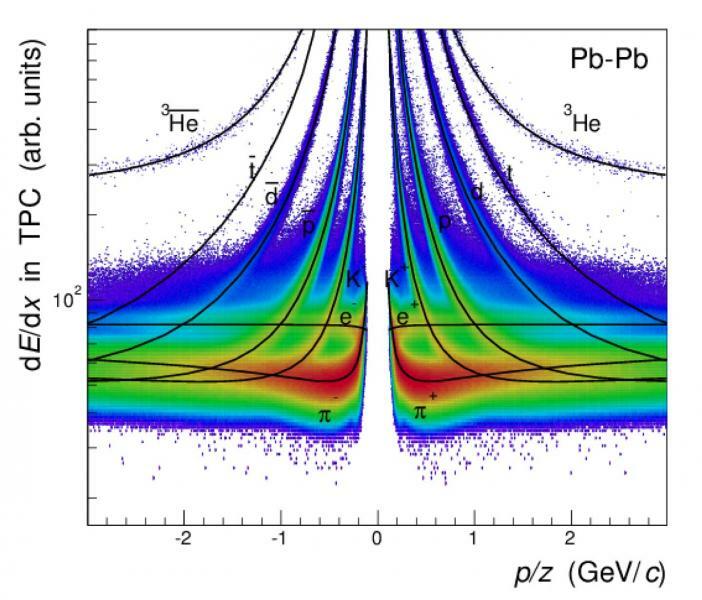 The ALICE measurements show that CPT symmetry holds true for light nuclei such as deuterons — a hydrogen nucleus with an additional neutron — and antideuterons, as well as for helium-3 nuclei — two protons plus a neutron — and antihelium-3 nuclei. The experiment, which also analyzed the curvature of these particles’ tracks in ALICE detector’s magnetic field and their time of flight, improve on the existing measurements by a factor of up to 100. A violation of CPT would not only hint at the existence of physics beyond the Standard Model — which isn’t complete yet — it would also help us understand why the universe, as we know it, is completely devoid of antimatter.